A family-friendly campsite for a holiday with your family or friends. Seaside, lakeside, if you prefer the forest… just take a few steps and you’re there. After a successful day, the snack bar will be waiting for you so you can eat or chat, play petanque, ping pong or foosball. 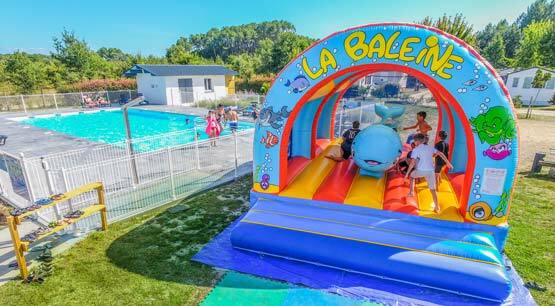 Children will love our local whale (don’t worry, it’s just a bounce house, not our pet) and you can watch them while surfing the net on our Wifi (15 minutes free, then see our Wifizone rates). 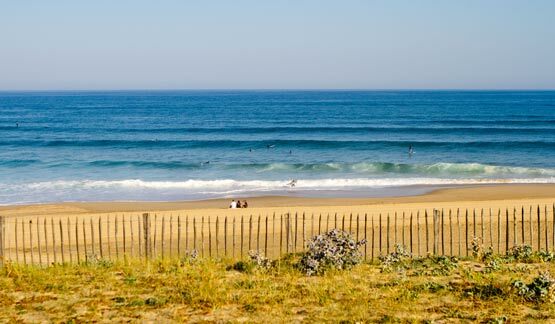 7km from one of the most beautiful beaches in the Landes, 3km from the Lake of Leon (Vielle side). A free shuttle will take you (see schedules) and bring you back. Your car can also take a vacation. Even for breakfast it can rest. You simply order the day before at the reception, for bread and pastries, the baker prepares them overnight, and brings them to you in the morning. All that you have to do is enjoy them (which is not that hard…). 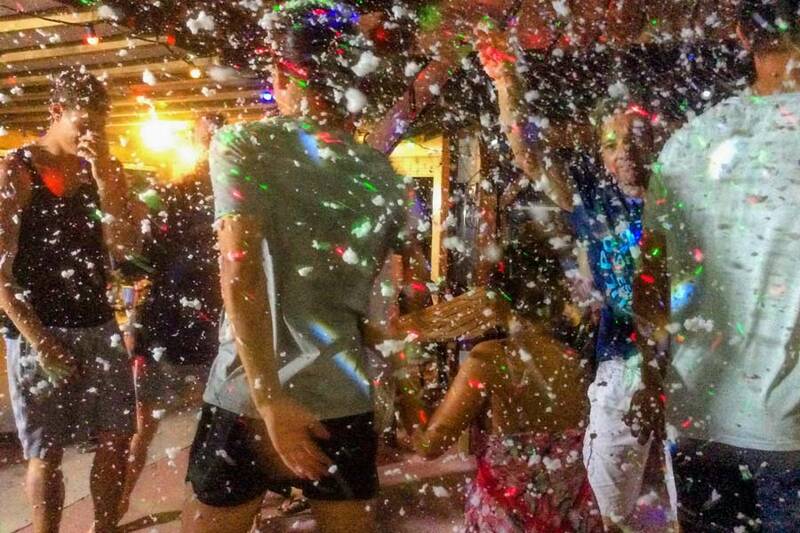 Petanque competition at 4:00 PM and then dinner and dancing with our DJ Podium ASL. Activities are available each Monday in July starting at 4:00 PM in addition to August 4 – 11 – 15 and 20.